On April 3, 2013,Kent State Truth Tribunal’s submission to the United Nations was posted ONLINE at the UN Human Rights Committee website. 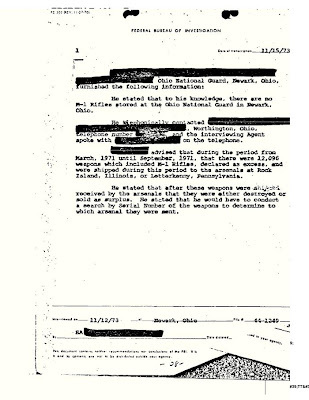 The Federal Bureau of Investigation (FBI) 11/15/73 document (above) shows the shipment of 12,000 weapons within possession of the Ohio National Guard (ONG) including weapons used to kill and wound student protesters at Kent State University on May 4, 1970 with commentary on the destruction of 12,000 weapons. 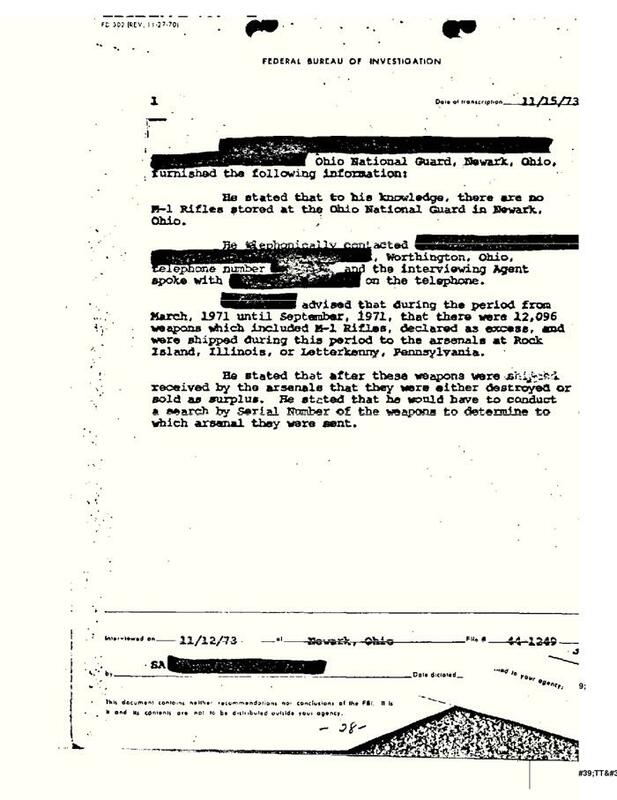 The US Dept of Justice letter 11/19/73 pertains to Mr. Terry Norman -- a critical link in the Kent State Ohio Massacre Coverup. So what really happened at Kent State, Ohio 43 years ago tomorrow? Based on last week's U.S. Department of Justice (DOJ) investigation report, we still might never know. Or will we someday learn the awful truth of that tragic day that left 4 dead in Ohio? It seems that the key to the truth lies with Terry Norman. In recently discovered film of the Kent State Shooting in 1970 (1:07.40 thru 1:08), FBI informant provocateur Terry Norman (photo at top) is the young man in the light colored sports jacket. Earlier that day Norman's mentor, Detective Tom Kelly from the Kent Police had attempted to have Norman's gun approved for carrying on campus during the demonstrations, but that approval never came so it's KEY that the video clearly shows Norman handing over his gun to Detective Kelly. Watching these Kent State videos without sound, Norman's gun hand-off coupled with the post-Kent State Tape analysis, we now understand the importance of this interaction caught on video & at many other sources. 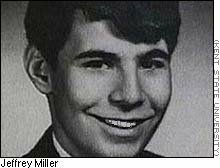 “The letter also failed to indicate any efforts to reconcile the evidence in the recording with any prior statements about the incident made by FBI paid informant, Terry Norman, who was on campus that day and was known to have brandished a gun that might have created the sounds caught in the recording. “While I appreciate the response from the Justice Department, ultimately, they fail to examine key questions and discrepancies. It is well known that an FBI informant, Terry Norman, was on the campus. That FBI informant was carrying a gun. Eye witnesses testified that they saw Mr. Norman brandish that weapon. Two experts in forensic audio, who have previously testified in court regarding audio forensics, found gunshots in their analysis of the audio recording. 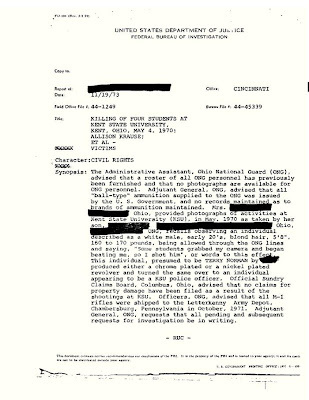 Did an FBI informant discharge a firearm at Kent State? Did an FBI informant precipitate the shootings?" 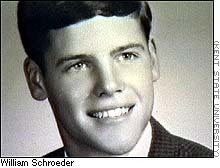 Why is understanding the Kent State Ohio Massacre critical? 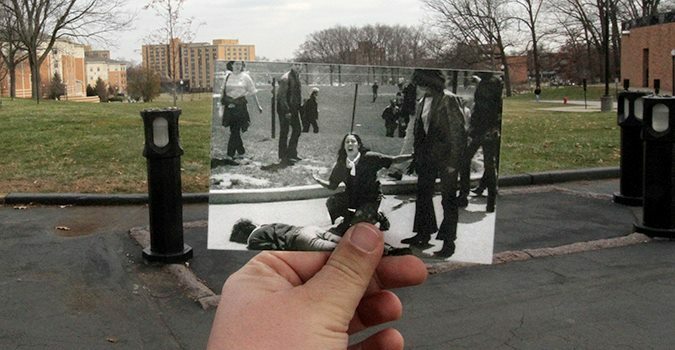 To understand the events of May 4, 1970 at Kent State and the four dead in Ohio, is to understand much of what has happened in our history before, during and after. 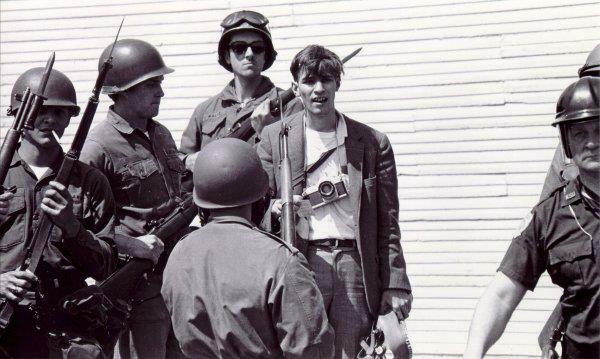 In the intervening 41 years, there have been a wide range of commissions, studies, research and theories of what actually led to twenty-eight Ohio National Guardsmen shooting into a crowd of anti-war protesters at Kent State University which left four college students dead on the ground. "History never exactly repeats itself. But its currents are never far from the present. As today’s protesters and police employ bolder tactics, the Kent State and Jackson State anniversaries should remind us that deadly mistakes can and do happen. It is the government’s responsibility to wield proportionate force, not to over-arm police and place them in a position where they could panic with deadly results." Despite many official denials, there have always been persistent theories that the National Guard was actually provoked into the shootings by a belief that they were being fired upon themselves and therefore were acting in self defense. What follows is a brief recap for those less familiar with the The Kent State Massacre, followed by the latest developments. The spring of 1970 was a time of significant unrest on college campuses protesting the Vietnam war and President Richard Nixon's announcement of a new American invasion of Cambodia, provoking an escalation in anti-war protests. 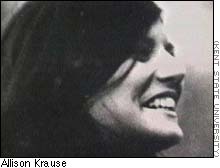 The anti-war protest movement culminated with the Kent State Massacre which resulted in hundreds of universities, colleges, and high schools closing throughout the United States due to a student strike of four million students. The official President's Commission on Campus Unrest concluded that "the indiscriminate firing of rifles into a crowd of students and the deaths that followed were unnecessary, unwarranted, and inexcusable." "They were about to walk out on stage and were spending a moment warming up." Immediately after the Kent State shooting on May 4, 1970, Neil Young composed the song "Ohio" after looking at photos appearing in Life magazine and then taking a walk in the woods. Crosby, Stills, Nash, and Young went to the studio and recorded the song which was released to radio stations shortly after the killings. It was more than just another protest song. Ohio was a cry of anguish, penned by Neil Young after seeing pictures taken at Kent State University on May 4, 1970. But 40 years after members of the Ohio National Guard opened fire on college students, Young's "Ohio" remains the most evocative pop-culture response to a defining moment in American history. "This is an event that now is in every history book," said Carole A. Barbato, a Kent State University professor of communication studies who team-teaches a course on May 4. "Wherever you live, even though your environment obviously shapes how you perceive things, you're probably as aware of the shootings at Kent State as those of us in Northeast Ohio. And even though this still would be in the history books, the pop culture certainly does perpetuate that. "Ohio" was entering the pop-culture consciousness within three weeks of the shootings. "It was the quickest and best reaction to Kent State, with Neil Young acting as 50 percent songwriter and 50 percent journalist," said David Bianculli, a pop-culture historian who teaches at Rowan University and regularly contributes to NPR's "Fresh Air." "I'll tell you what that song meant," said Bianculli, author of the recently published "Dangerously Funny: The Uncensored Story of the Smothers Brothers Comedy Hour." "After the assassinations of Martin Luther King and Bobby Kennedy, you felt kind of helpless as a young person. It seemed that when someone had your voice, that voice was silenced, usually by violence. "Then you have Kent State, and college kids are actually fired upon. And when you just might start to be thinking, you don't dare have a voice or there is no voice, from the radio comes this voice of solidarity and outrage. It wasn't just a pop song." "After 1970, that doesn't happen again. It didn't need to happen again, mostly because it didn't need to happen there. And that's what Neil Young's song spoke to." 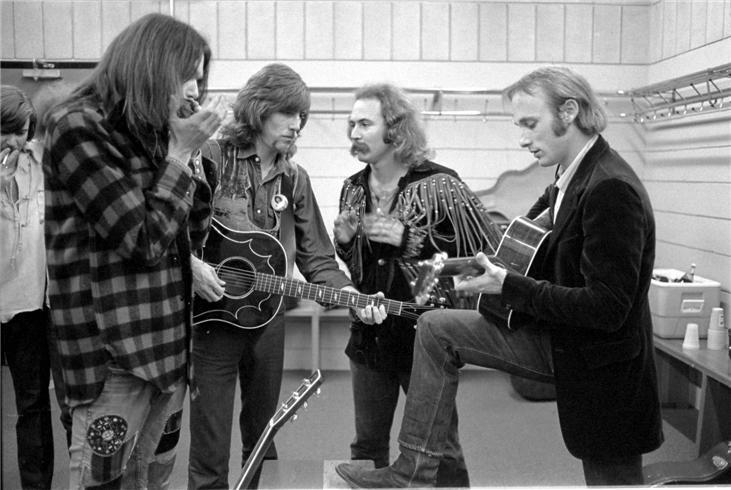 More on Neil Young composed song "Ohio" performed by Crosby, Stills, Nash & Young (CSNY). 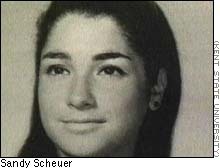 Let us continue the struggle to ensure that Allison's murder (& Bill's, Jeffry's and Sandra's) was not in vain. Art Threat | Sadly, Neil Young’s Ohio still relevant 43 years after Kent State massacre (Click photo to enlarge) Also, see "My 285th post on Kent State." Why the 1960s still matter by Will Bunch. Let a million flowers bloom. I respectfully ask what could realistically be done to achieve closure & justice for what happened on that tragic day? We recently had an American ambassador brutally assasinated along with 3 other Americans in an embassy in Libya & there has been no interest shown by the government in arresting those responsible or even allowing the survivors to testify before Congress. 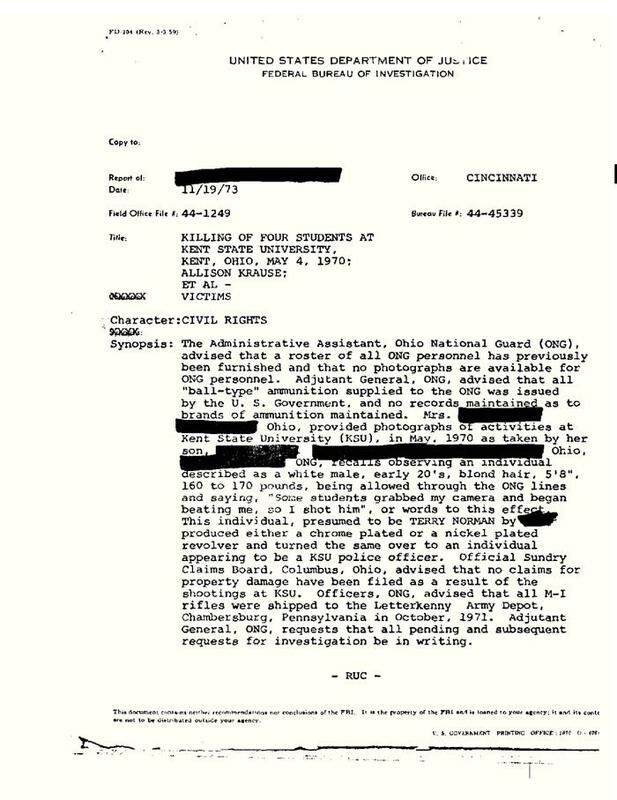 Why would the Kent State murders be of any interest to the media in this unfortunate and fundamentally corrupt political climate? Nixon then - Obama now - the song remains the same. Jonathan - good question. And that is exactly the question to ask. So really appreciate your thinking this thru. Justice can no longer be served. However, to achieve closure, to learn and move forward, only the truth will set us free. The truth about May 4, 1970. And November 1963. And April 1968. And so on. I'm sure Jonathan was just as concerned following the far more brutal 11 embassy attacks that occurred under the previous administration, right? Ambassadors in Libya are pretty much aware of the risks involved. Students walking to class is a whole different story. Neil cranked out Ohio on his last solo tour like it just happened yesterday. He honored the victims in his film as well. What happened to those kids needs to stand on its own. In my mind, it always will. God bless. Thanks so much for keeping Kent State top of mind through the years. The truth needs to be told. The people need to know exactly what happened. The deceit and the cover ups need to end. Those who were murdered at Kent State, should be held in high esteem, the murders should be held in contempt. The written history needs to be corrected to tell the truth. And if there are any people alive who were involved, they should be held accountable. The people who were exercising their "freedoms" by protesting need to know they were right, in case they do not know it. Hiding the truth is dishonorable, deceitful and just plain wrong. all truths need to be known. anyone involved in allowing murder to take place, no matter what the position of authority, they should be held accountable. Kent State was one of the firsts incidents where military force was used on U.S. soil and it is not allowed per our constitution. the American people did not take to the streets... that should have started many protests and things should have been taken care of by our Grandparents, and parents. The unity that could have been was squashed by the divide and conquer. Matt & Jes Wedding... so far none of the politicians have been forth right. Most politicians (99.9) see themselves to be more important than the American public, who pay their taxes, to fund all of the crap they (government) has done/doing. The U.S. has no business in setting up leaders in other countries and then take them out when they no longer want to "play ball"
Yes, if what happened on that day had been truthfully addressed and justice served, we would be a far better country today. Thankfully LOVE has prevailed. Unfortunately deception not only continues, but also prevails. I liked the CSNY Song until I Seeked and Discovered "The Truth". Most disturbing is that Lyndon B. Johnson was obsessed with "Winning The War In Vietnam At ALL COSTS". LBJ committed the continued deployment of our young service men to die in Vietnam. No single President has ever come close to committing U.S. Soldiers to Casualties, Deaths, Dismemberments and Injuries than those that LBJ was responsible for. Unfortunately, the CSNY song implicates President Richard Nixon for Casualties when he in fact began the eventual complete withdrawal of U.S. Troops and Dignitaries to End the U.S. involvement in the Vietnam War. Rust Radio Redesigned & Goes 24/7! 3 Year Old Covers Neil Young's "Comes A Time"